Graduating seniors discover which residency program they will train at for the next three to seven years. 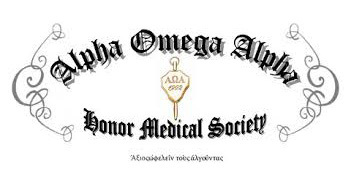 Medical students, residents, faculty members and alumni were welcomed into the Alpha Omega Alpha medical honor society yesterday. Student groups came together to showcase diversity at Feinberg and to raise money for the free community clinics coordinated and staffed in part by medical students and faculty. After 16 years of distinguished leadership as a physician educator, Raymond H. Curry, MD, GME ’85, has stepped from his leadership role at Feinberg. He will continue to be a member of the faculty and a primary care physician in the Northwestern Medical Group. Lauren Smith, a sixth-year MD/PhD student, is the recipient of a Presidential Fellowship, the most prestigious fellowship awarded to graduate students at Northwestern. Her research focuses on improving the control of myoelectric upper limb prostheses. She works in the labs of Todd Kuiken, MD, PhD, and Levi Hargrove, PhD. This summer, Northwestern University will launch a one-year Master’s in Public Health degree, expanding the existing program’s availability to those who prefer a shorter time-frame. Six Chicagoland emergency residency programs implemented new simulation-based assessments for second-year residents.